Watercolor on 140 lb. cold press paper. 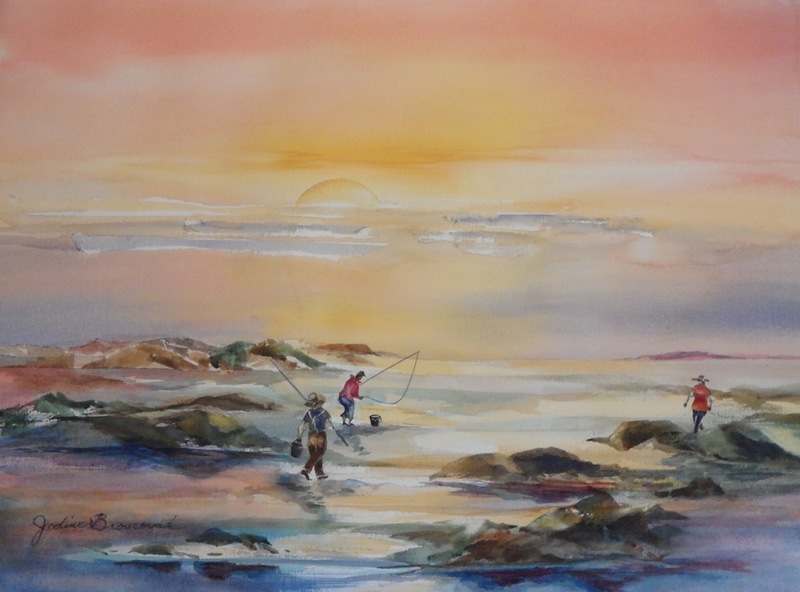 Fishermen trying for last catch of the day. Original painting priced unframed. Contact artist for options.